Paint the facade – Many old fireplaces are made with red bricks that can be changed to a more contemporary feel by painting the facade in a light grey or white. Remove or add/change the mantle piece – Whenever there is a dated mantle piece you can replace it with a swanky reclaimed wood one or a different material altogether. Also optional is to paint the mantle an accent color or blend it in with the facade. If you do not have a mantle, you can add one to make a statement or to hang holiday decorations. Refinish/replace the hearth – this could also qualify as a more expensive remodel but generally is a smaller ticket item. 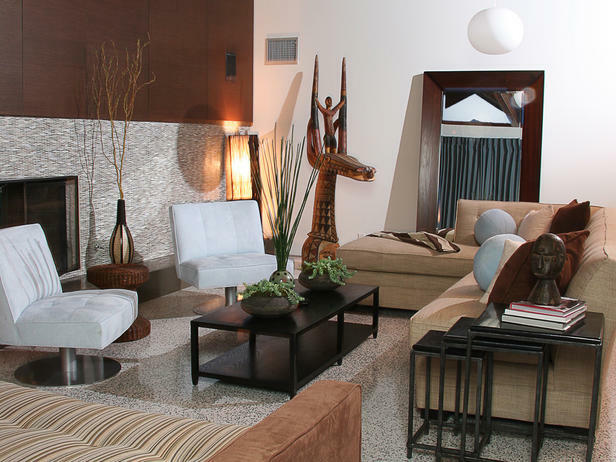 Replace the stone or tile, re stain concrete or simply eliminate it altogether (if possible by code). When you do not have a hearth, you can consider adding it. 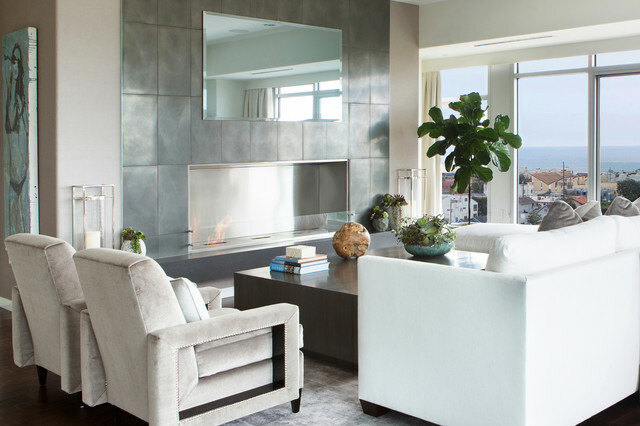 Replace a traditional fireplace box with a contemporary metal box and avoid the old fashion brick interior. 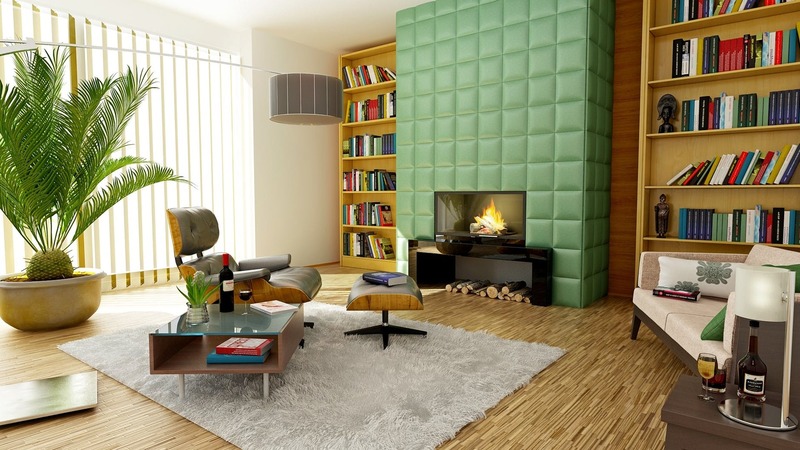 Add a floating shelf or bench hearth to completely change the impact of the fireplace on the room. 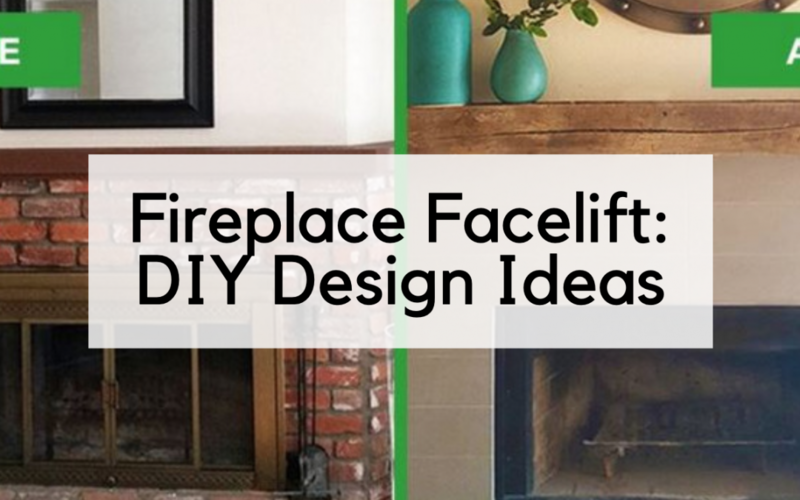 Looking for an easy one-day DIY project to give your hearth a facelift? Sometimes all it takes is a can of paint. We love when homeowners aren’t afraid to go bold with color. 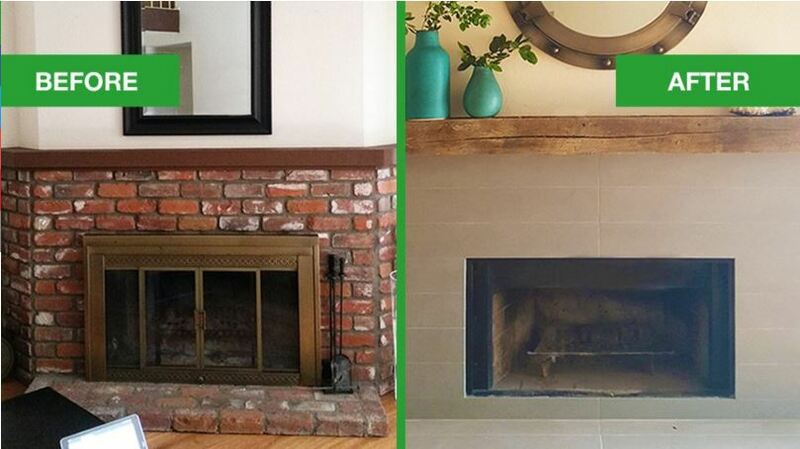 This is definitely the most budget-friendly way to transform your fireplace, or just about any space in your home. 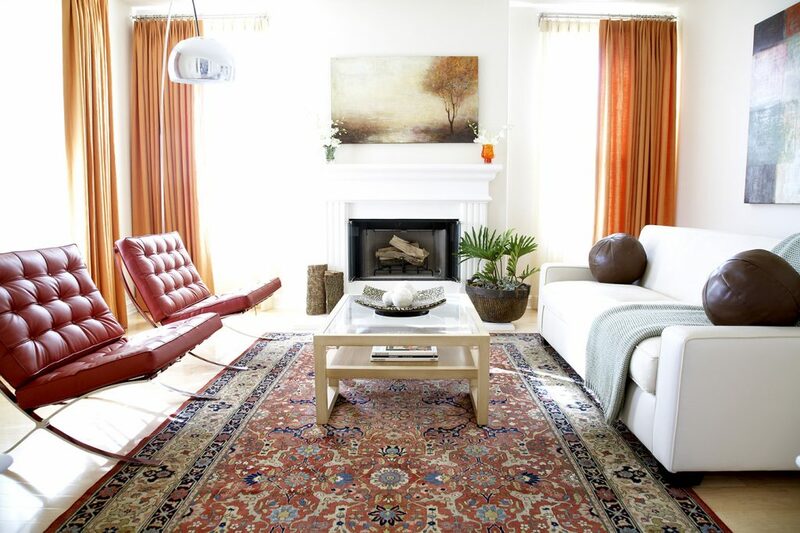 One can of paint can really transform the space: Color looks great just around the fireplace too. For added depth and texture, consider a backsplash for your fireplace! 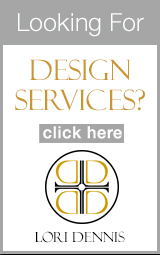 It’s a great way to increase architectural interest in your space, and perhaps even introduce a floral or mosaic pattern. 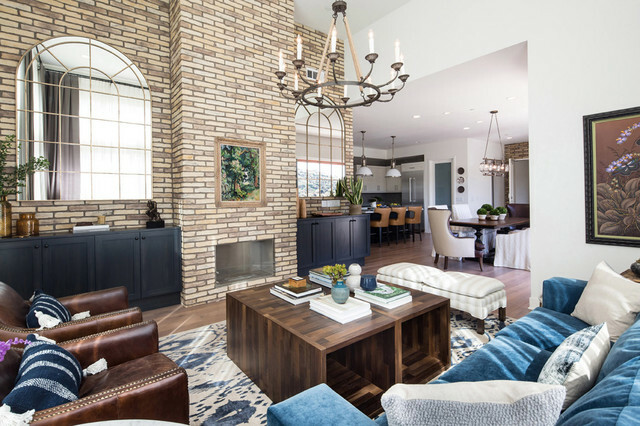 If you’re willing to splurge, for a stylish contemporary look, install teak wood squares in a basket weave pattern like we did in this Palm Springs home. Think Outside the Log (Box)! 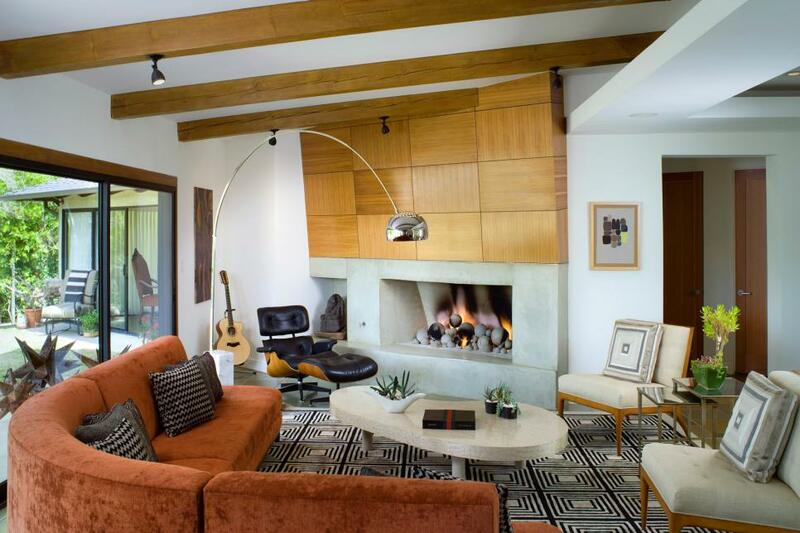 For a more modern approach, fill your fireplace with concrete balls or something else other than traditional fire logs. We think they’re far more stylish if you’re not in a mountain region, plus, they’re way more eco-friendly when burning! If you have a brick fireplace, consider giving it a lighter wash. This will instantly freshen and modernize your fireplace and is especially popular in the modern farmhouse style homes we’re seeing pop up everywhere. For a more industrial look, you may want to go in the opposite direction and give it a darker wash. 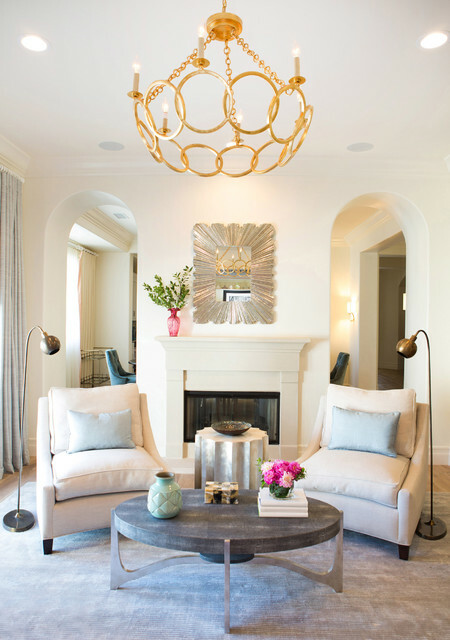 If you’re not up for a construction or paint project, here’s one that won’t get your hands too dirty: Accessorize above your fireplace and the surrounding areas with some fabulous works of art or with a collection. Install a 3-D Panel or Millwork! 3-D panels go on in one piece and you don’t need a mantle to make it look great. This can take the place of tile or art and instead turn the entire wall into a dimensional statement piece. 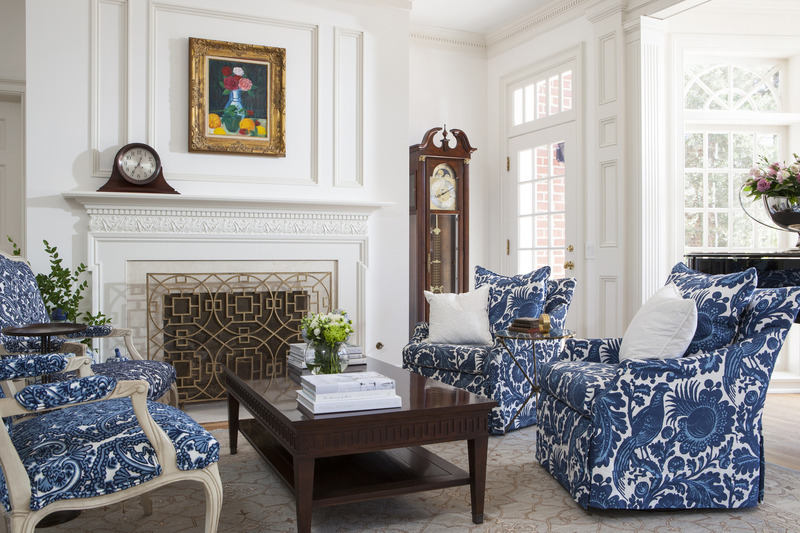 If you’re going for a more traditional look and have more to spend, consider working with a designer on installing some custom millwork to define the space and style.